When it comes to eating south Indian fast food, we often go for Sagar Ratna, which is more like a byword for the southern cuisine. Recently we went for dinner the restaurant’s Defcol market outlet. This chain offer wallet-friendly fair for vegetarians,serving Karnataka cuisine, which tastes a little different from more commonly available Tamil style of making idlis and dosas. Menu is simple with a variety of finger licking snacks, dosas, utthapams, , desserts and beverages on a double-sided single card menu tab. Seating is not very fancy but is very clean and functional. Service is courteous and fast. 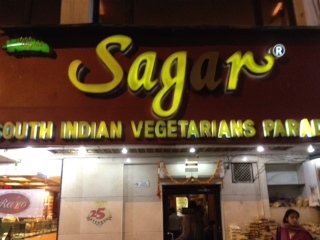 You will hardly ever find a Sagar Ratna joint empty! 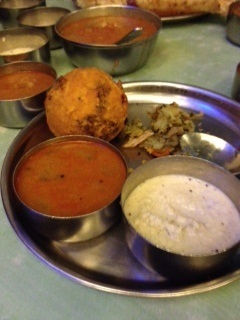 Dinner for four would cost around Rs 1,500.